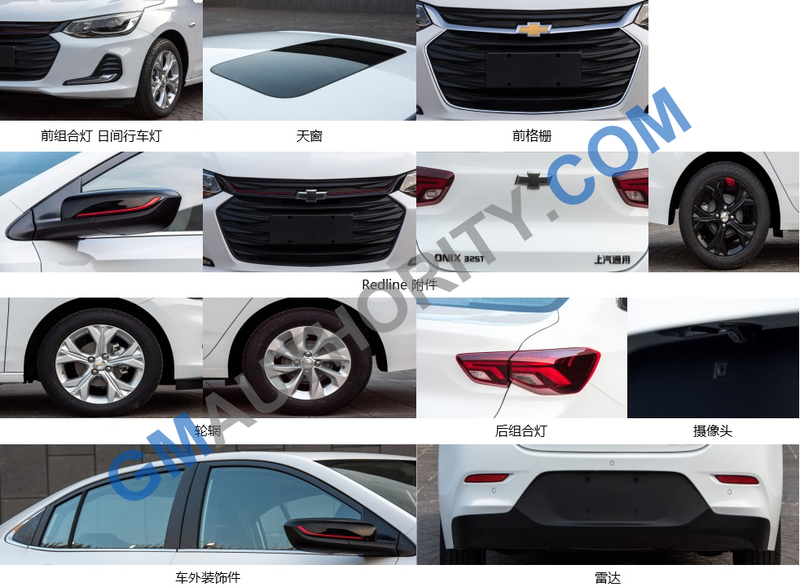 General Motors has officially announced that it will debut the all-new 2019 Chevrolet Onix sedan “very soon” in China, Chevrolet’s second-largest market by sales volume. In addition, we expect Chevy to also announce the new Onix in Brazil in the middle of this year. 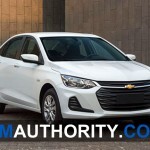 The new Onix sedan, which leaked at the end of last year, will also introduce a new Redline variant, an equipment package that Chevrolet has been slowly rolling out across its model range to better cater to a younger customer demographic. 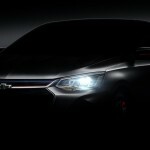 In fact, the second-gen Onix will be the sixth Chevrolet model in China that is offered with Redline trimmings, joining the Equinox, Cruze, Orlando, the new Malibu XL and the new Monza. 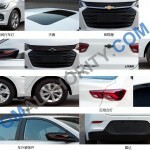 GM claims that the 2019 Chevrolet Onix sedan will offer an expressive exterior design, while optimizing space and comfort in the passenger compartment. Its “advanced technologies” will provide improved connectivity and efficient performance, traits that are typically not found in its segment. 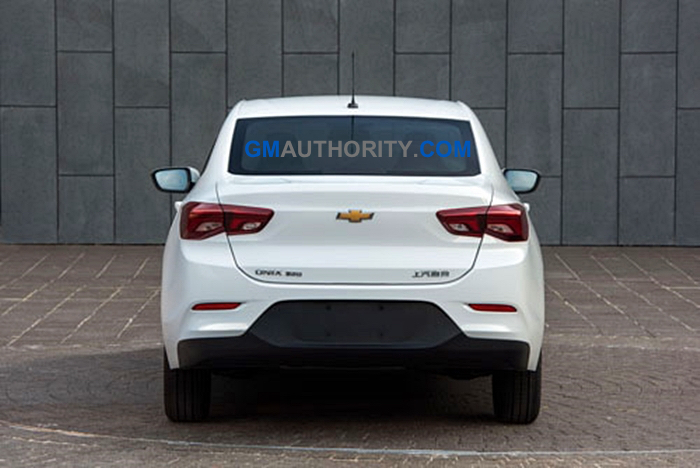 This way, the 2019 Chevrolet Onix will be the first vehicle based on GM’s all-new GEM platform. 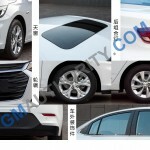 Previously, GM announced that it will begin launching vehicles on the new architecture this year in China. 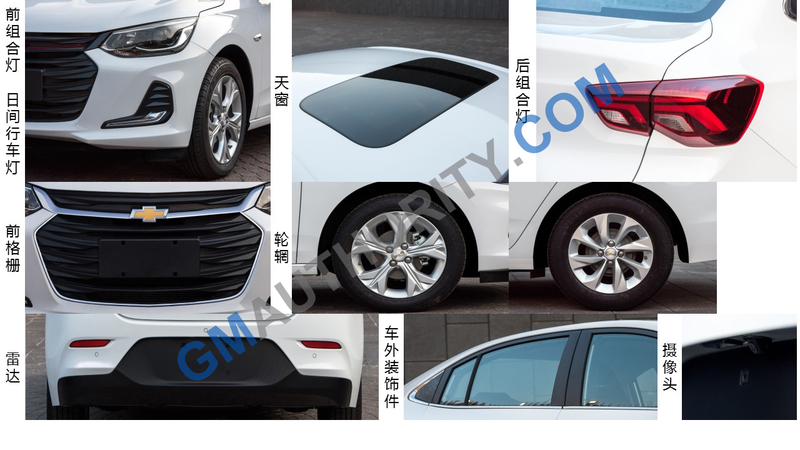 At that time, the company also revealed that the first member of the new family of GEM-based vehicles will be a Chevrolet that “will meet the needs of Chinese customers”, which will be revealed in that country this month. As such, this announcement confirms that the vehicle in question is the new Onix. GEM, short for Global Emerging Markets, is a car architecture derived from the GM VSS-F platform, but developed specifically for low-cost vehicles sold in emerging markets. 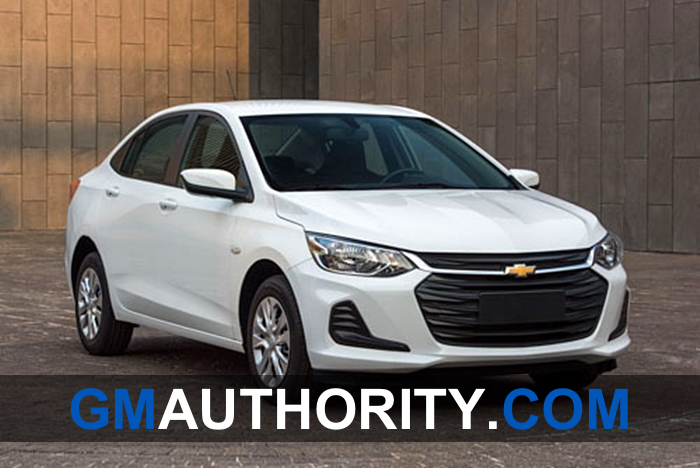 One of the more noteworthy things about the 2019 Chevrolet Onix is that it will no longer be exclusive to South America, where it has achieved resounding levels of commercial success by becoming the best-selling new car in the region. With the all-new 2019 model, GM plans to expand the success of the Onix nameplate to another 40 developing countries around the world. To properly carry out its international expansion, the new Onix will be manufactured in both China and Brazil. It’s currently unclear which GM China plant will produce the new Onix. In Brazil, the new-generation Onix will continue to be manufactured at the GM Gravataí plant. 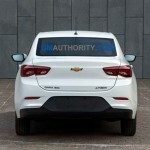 Stay tuned to GM Authority as we bring you the latest Chevrolet news and Onix news. We get the Chevrolet Spark while China gets the Onix.. imagine if they built this in Lordstown, OH. There’s nothing wrong with the Cruze but there’s nothing here to say that it would fare much different in the US. Sedans are waning over all — it would need other variants at least. Cars aren’t selling. I personally do not like trucks, SUVs and crossovers but Cars aren’t selling. You can’t keep a plant going if there isn’t the work for it. Cars aren’t selling only at most American automakers. For the Japanese and Koreans, car sales are down, but not by as much as they are/were for GM, Ford and FCA. Meanwhile, this here Onix will continue selling like gangbusters in South America, and I have a good feeling that it will sell like gangbusters (and then some) in China. The bottom line on crossovers is that they better meet the needs of today’s owners. Better uber or rental cars, better first time buyer cars, better mom or dad cars, etc etc etc. More practical, better people carriers, safer/better view of the road, more utility. The bigger question is whether battery-electric propulsion systems will eventually see higher natural demand than ICE powered vehicles. This sedan would fail faster here than the Cruze as it is not even designed for here. Sedans are all in decline accept for the higher end luxury and sport markets as they were more niche anyways. The American brands are failing faster for one they had less volume to drop from . Also announcing that models are being killed is not an incentive to drive people to buy the lame duck models. As time goes on more cars will die for taller CUV models at all brands and on,y a few sedans will hold out from global markets were they can maintain profitable volumes. People are tired of these new smaller cars that hardly carry 5 adults, no head room and large trunks that have such small trunk lids that nothing will go in unless it is flat. The CUV has bridged that gap where it is as useful as a minivan but not looking like you gave up on cars all together. The Blazer is going to bring more to the market in sporty styling to draw in enthusiast. The Blazer also handles like a sport sedan that will bring more appeal. Years ago larger sedans could double as the family hauler and truck but not so much today in sedan form. Some good points but me (and millions of others) live in big American cities have no use for a CUV whatsoever. GM recognize it much as they continue Malibu, Sonic. Hopefully we’ll see Impala and Cruze replacement sedans or at least an Impala replacement as Sonic could probably be stretched to Cruze’s size. “can be made” and “can be made profitably” are two entirely different things. The costs to tool up a factory for a product are huge — and you need to be able to sell in quantity, especially for non-luxury vehicles — think at least 150,000. That’s the whole premise of building models in one (1) plant where there is only one plant’s worth of volume. Queen Barra said it would cost approx 100 million to retool Lordstown. so making 10.4 billion instead of 10.5 (excuse me if my numbers are off, but you get the point)is too much? The Trax, Encore, and other small crossover/SUV’s could be made there and easily reach 150,000 units. Really, looks like every other econ 5h1t box out there . They should rename it to Chevrolet Improvise. It doesn’t even look like a finished product. Do GM Chinese market cars require airbags and any kind of safety rating? I have no point to make, just curious. Hey, Fake News. I live in Newton Falls, Ohio and just want to throw out there that we’re 10 minutes away from lordstown and about every third car you see is a Cruze. Hell, I own a Cruze. Mpgs will determine the not too distant future, especially when we hit $3/gal. Back to the future! My Chevy Cruze gets 46 mpg. Dumb move to stop making them. It is one more Forgetmobile, a car with a design absolutelly without any sauce. I ask myself why there are so many talented designers in the world, and Chevrolet has none working within. From the look of the front end it appears that G.M. has gotten mixed up with the styling of both Toyota and Ford Fusion. Doesn’t look very good at all but the word ugly does come to mind. The definition of ugly is “offensive to look at” according to the dictionary. I own a 2016 Cruise and am very glad I have the older model as the latest generation look smaller and cheaper anytime I park next to one. It is almost feels like parking a Malibu next to a Cruise.